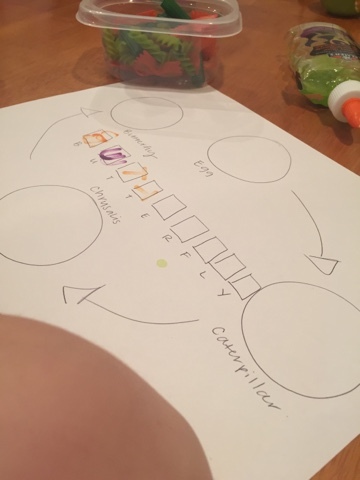 We love talking about the life cycle of a butterfly, even though my 4 year old knows the process well by now it still completely fascinates him! We also happen to love colored pasta for sensory play which is what we used to complete this activity. 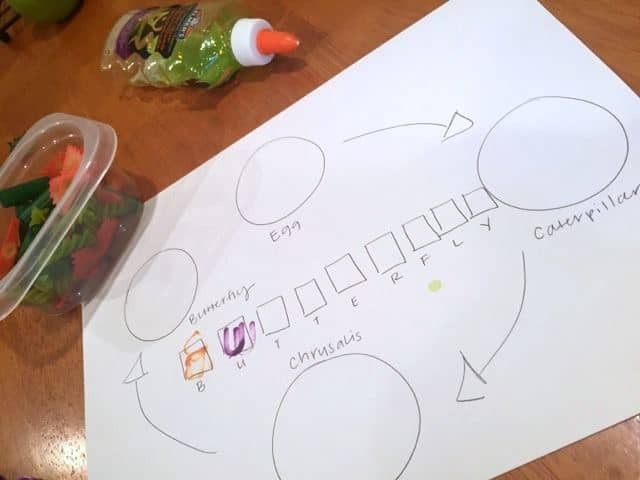 To see how we color the pasta for this butterfly life cycle craft, check out our Butterfly Life Cycle Sensory Bin for the full tutorial. Draw a basic life cycle diagram on a sheet of paper. I wrote the word ‘Butterfly’ in the middle with spaces for the kids to copy the letters with stamps (optional). 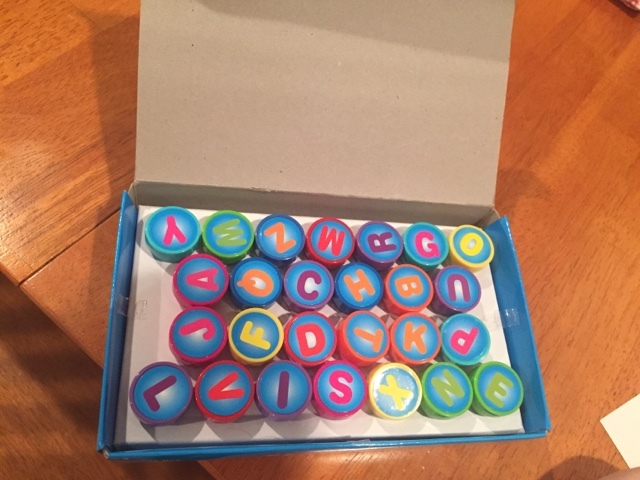 I love to use these letter stamps before the kids can really write! It’s fun for them and takes away the frustration of writing such a long word before they are ready. 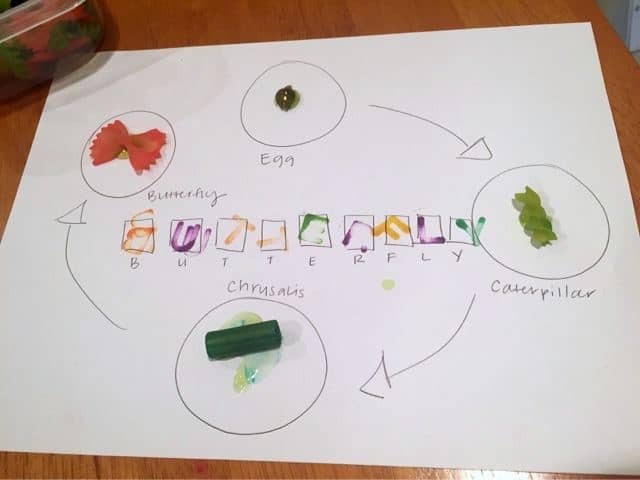 Once they matched the correct stamps to the lettered spaces and finished ‘writing’ the word butterfly, they got to work looking through the pasta to find the appropriate shape for each stage to complete the butterfly life cycle craft. My kids love to practice squirting glue on paper…what kid doesn’t right? Squeezing a glue bottle is actually great muscle work for little hands! This is how our finished project turned out! 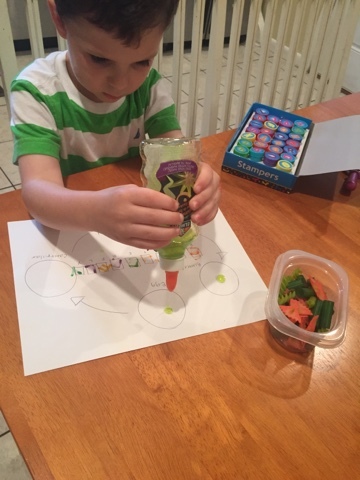 Whenever talking about a theme or a topic I like to make sensory bins to open the discussion and to get the children engaged; once we are done with the bin I like to find another use for whatever materials we have left over. 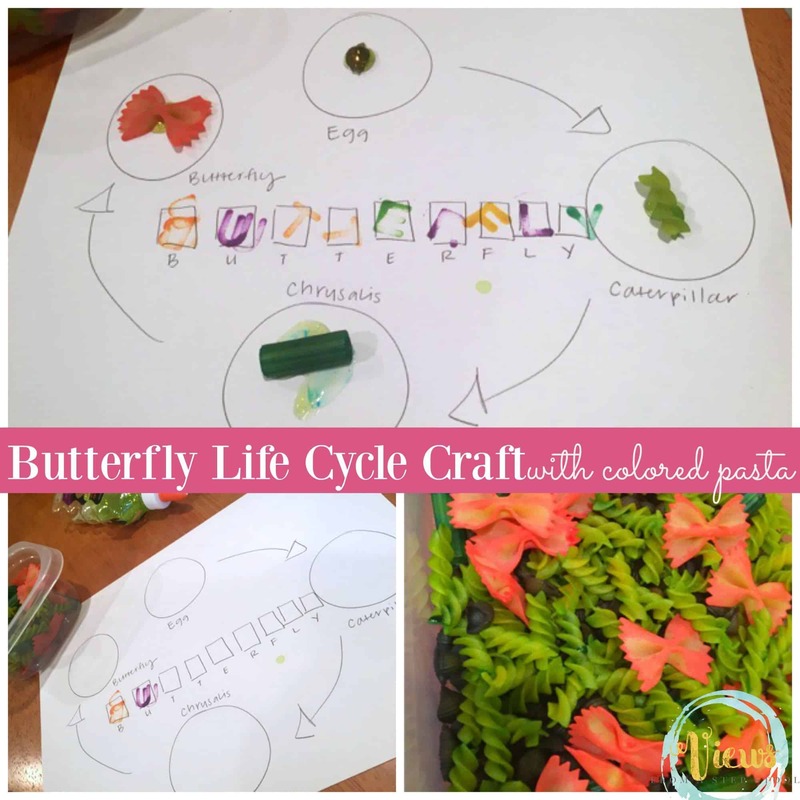 This butterfly life cycle craft was just perfect for this pasta! 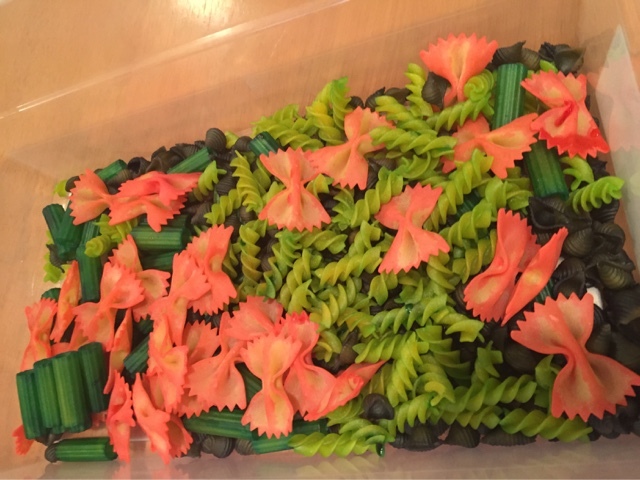 You can also buy this pasta pre-colored in my Etsy shop to make your own life cycle sensory bin (and use some for this activity as well). See more fun butterfly activities! Butterfly File Folder Games:Free Printable!